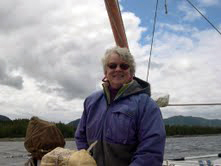 (SitNews) Ketchikan, Alaska - Financial problems are common at all ages, for both sexes and across all income groups of people. Widowhood is difficult for everybody, but for some women, it creates a major stumbling block over making necessary financial decisions she may not be qualified to make. This does not have to be that way, however. Along with lack of knowledge about the income needed to run their households, women report a lack of knowledge about prioritizing the expenses for the household and family, particularly for expenses related to home maintenance, vehicles, insurance, credit cards, taxes and contributions to retirement plans. This lack of knowledge usually stems directly from not participating in the financial aspects of marriage and family life, not from any specific inability to manage money, however. It is the result of an arrangement in the marriage that delegates all financial matters to the husband and all family/child matters to the wife. This arrangement may work well while both husband and wife are alive, but it falls apart when the husband dies. The result of not understanding the household expenses is sometimes chronic overspending and the accumulation of credit card debt for a newly widowed woman. Older women report more stress over the finances than younger women, but the increase in percentage is not as much as you might think. Younger women who experience the loss of a spouse are almost as fearful and apprehensive about taking over the finances of a family, or even for just themselves, as older women. Professional women appear to be almost as concerned as homemakers, as well. There is an almost universal issue for all women that money is hard to deal with, make decisions about and manage. It doesn’t have to be like this. After all, being widowed is hard enough by itself. Adding financial stress should not be part of the deal, but too often, it is. Let’s look at this in a little more depth and see if there are ways to fix this problem. The best fix for anxiety about managing money, especially when you are a widowed woman, is education. Becoming knowledgeable about your finances is not rocket science. It just means to be given the information needed in a straightforward way that is clear and understandable. There are no dumb questions and it is normal to repeat the questions and answers during the learning process. For most women who become widowed and decide to become capable of managing their own finances, this process of education, if handled correctly, takes a year or two. It is not necessary to become expert; it is only necessary to become competent to make good financial decisions, sometimes with the help of an objective professional, but always t a level that instills confidence and the assurance that the decisions are reasonable and sound. Men have historically had more opportunities over the years to handle money and investments, so it has long been assumed that they are better money managers and investment decision-makers than women, On the contrary, however, studies show, over and over again, that women who are educated and informed about finances make better investment decisions than men. Really? Yes, really. The theory is that the reason for this is that women do not engage their egos when considering how to invest their money. Instead, they research, compare and consider the most practical and least risky choices available. They also do not trade their shares as often as men. Trading increases investment expense and adds a layer of risk to any portfolio, but since women trade much less often, they do not subject themselves to this risk or extra expenses as much as men do. Finally, women report goals that are more moderate and reasonable overall, as compared to the goals that men report. Women report wanting a good return on investment but rarely expect it to be more than slightly above average. Men, on the other hand, often want returns on investment that are well above average, which also exposes their investment dollars to more risk. The end result is that women tend to have somewhat better returns over longer periods of time than men. Most people are surprised by these findings from the studies on this subject, but after decades of giving professional financial planning and investment advice, I have to agree with this data. Given this data and assuming it is true, then, the key is to provide education and information to every woman at the time she becomes a widow. Even better, of course, would be to offer financial literacy courses in schools, before adulthood, in order to reduce the general lack of knowledge that is prevalent in the US and other countries. In the absence of this, females at all ages tend to opt out of learning about finances at a higher rate than males, leaving them with less experience and information throughout their lives. If a woman does not already understand finance, widowhood brings the need for it into sharp focus and presents her with a clear goal to start the process of being educated and informed. This begins with a frank discussion of her situation, her level of understanding and her goals for the remainder of her life. So, she will need to get a clear picture of where her income will come from, how much it is, what assets are available to her for her current and longer term support, what debts she has inherited and what steps she should take to go on with a workable financial plan for the rest of her life. At first glance, this may seem like a lot on anybody’s plate, possibly too much, but it is not. If it is put into a simple, organized format, the way to deal with each piece of it is to do so one piece at a time. Prioritizing those pieces into steps to take, one at a time, with a flexible time frame as a target for getting each one accomplished, is the best method to use. It is not a fast process but it is efficient. Most of all, it is understandable and it works. Because it is a slow and easy process, this is not a stressful experience for most people, and it is perfectly suited for gradual education along the way. Women who are given this opportunity to gradually learn about money and investments almost always “get it” at some point. Each piece of the big picture takes on a clear focus. At some point, most women who do go through this process of being educated realize that they are definitely capable and able to manage their own money, understand and make all kinds of financial and investment decisions safely. These women can and do successfully assume control of their money for the rest of their lives, widowed, married, and single or divorced. This is a huge accomplishment for anyone, male or female, and worth the effort it takes to get there. Years ago, I had a woman say to me shortly after the sudden death of her 60 year old husband “I do not want to become a bag lady now”, as if that was automatically what would happen. Her fear was real, but this woman, who saw herself as a bag lady, was unaware that she was the beneficiary to an insurance policy, had a survivor benefit to a pension, had Social Security spousal benefits, owned her home outright with no mortgage, was the spousal heir to a large investment portfolio and had the right to make decisions about her income, her home and the lifestyle she preferred. Well-meaning friends and family had converged on her with all kinds of advice on how to spend and invest her money. Their inexpert advice ranged from telling her to sell her home, rent it out and move to a small apartment, go on a world cruise, put all of her money into an annuity or bank account, remodel her home, take in a border and many other inappropriate suggestions. However, once we showed her the factual information about her financial resources, she began to relax. The education process started right there and continued for several years, ending up with a confident, secure lady who eventually set up her own financial plan and left some money to a charity that she admired but had never donated to before being widowed. It was intensely satisfying to her to be able to do this while remaining financially secure herself. She had come a very long way. Anyone can become financial educated, but nothing happens unless you get started. Procrastination is your enemy; action and moving forward are your friends. Do not believe anyone who says that it is “too complicated” or “not your thing”. It is not too complicated and it definitely IS your thing. Your's and no one else’s, in fact. Your money, your life, your security, your future. Your thing.